Saltsjöbaden Yacht Club is a non-profit organization that on behalf of its members work for local boating and promotes good fellowship and seamanship. Saltsjöbaden Yacht club was formed in 1926 and currently has almost eight hundred members. 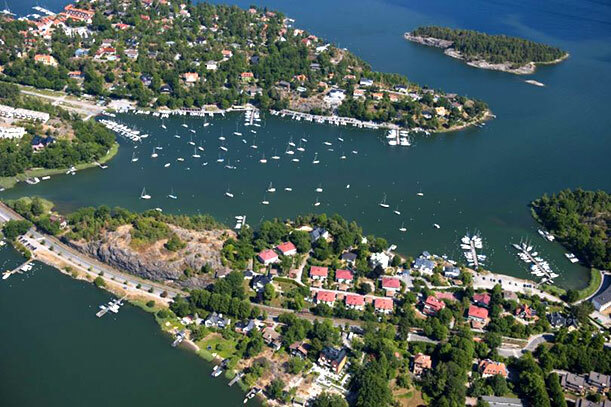 The club is open to public but the berth can only be offered to those who live in the municipality of Nacka. Saltsjöbadens Yacht club Marina in Pålnäsviken at latitude N and longitude O 59,17,27 18,18,07. The port facility includes a number of jetties and buoys in Pålnäsviken and bridges in Neglingemaren. The club also possesses the land area in the back of Pålnäsviken where there are ramps for receiving boats. Absorption and launching is handled by volunteers. The harbor is guarded at night by the members themselves. Harbour dues in Pålnäsvikan is paid online.